Madeira is a Portuguese island in the Atlantic approximately 300 miles off the coast of Morocco. 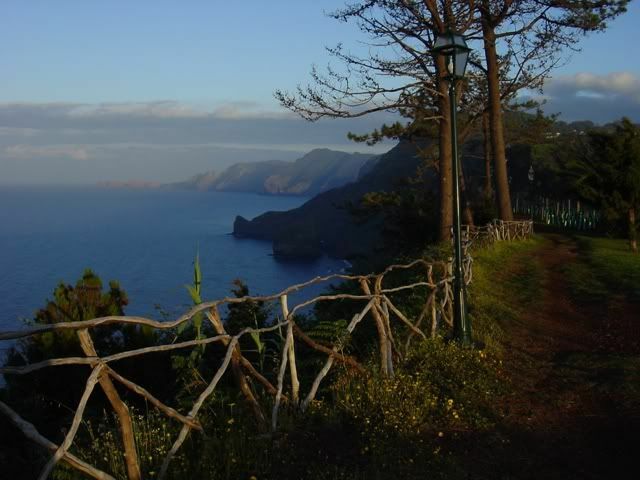 I first read about the island’s beauty about 20 years ago. It must have been from a motorcycle magazine because that’s all I read back in those days. I had my first visit two years ago when I travelled there with the girl friend unit. 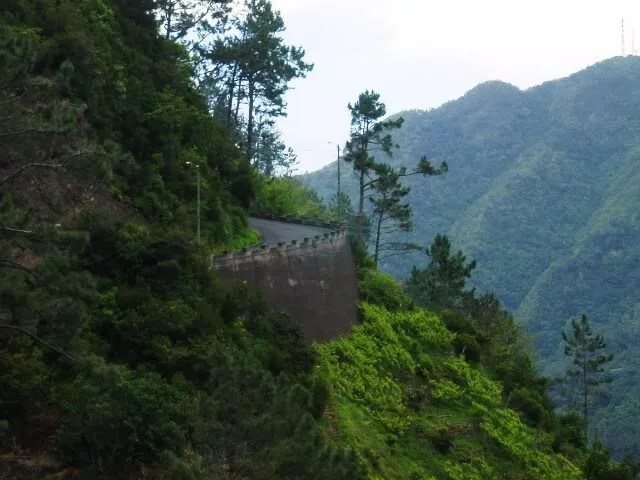 Although we were in a rental car, I was impressed with the twisty mountain roads and made a note to myself that I must return and ride the roads on two wheels. Last week, I got my wish. I made arrangements to rent a BMW 650GS and explore the island’s backroads. Only 36 miles long and 18 miles wide, Madeira squeezes in some of the world’s most breathtaking scenery. Dramatic mountain peaks and valleys tumble down to an ocean covered in an abundance of exotic flowers. Overcast skies greeted me on my first morning as I took delivery of the bike. Not wishing to risk rain in the central highlands, I headed for the north coast, skirting the mountains. 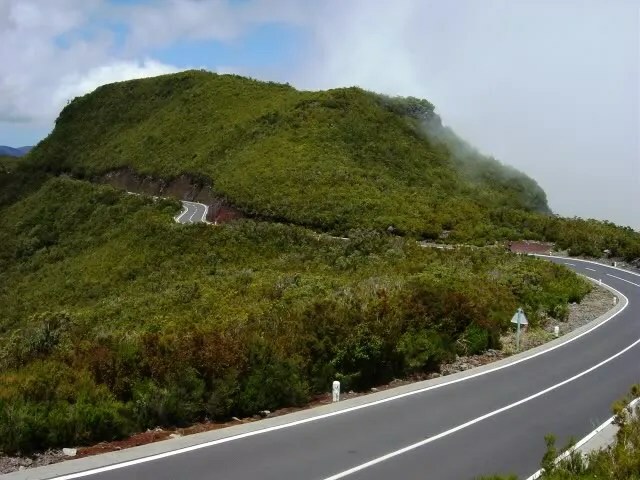 Even though I was avoiding the mountain peaks, the road was still pleasingly sinuous. 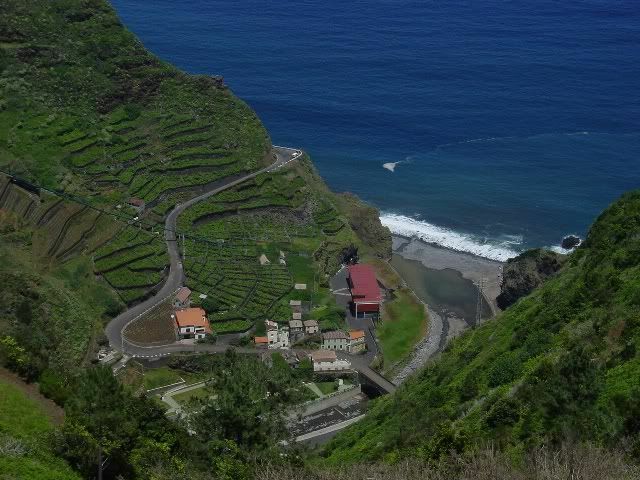 My first view of the northern coast was from the ridgeline high above the sleepy fishing village of Porto da Cruz. 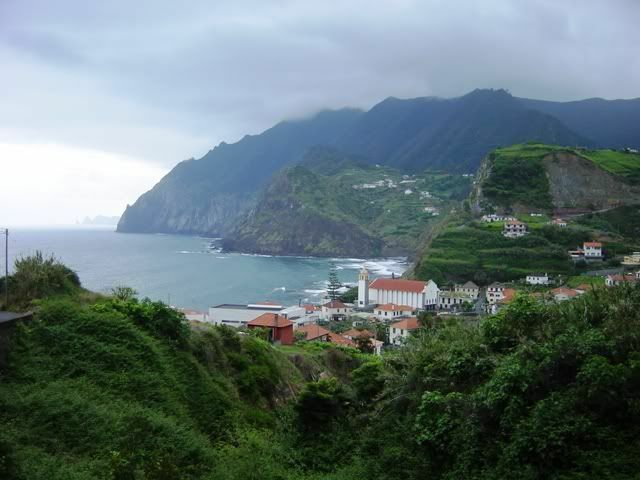 Dropping down into Porto da Cruz under overcast skies. 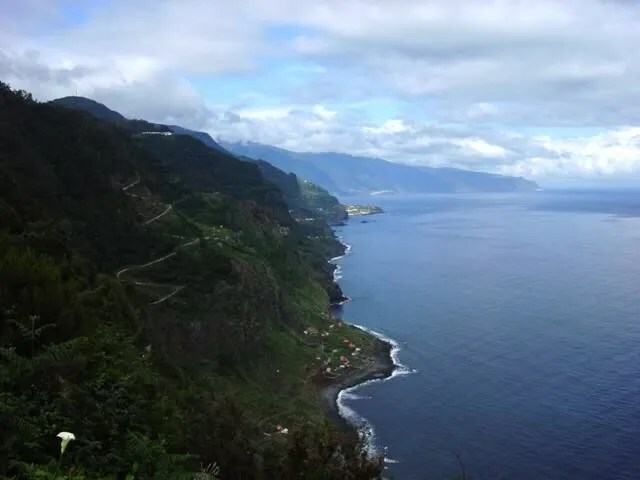 From here, I would snake my way along the treacherous coastal road. Before the influx of European Union funds helped build a modern highway system, this was the only way to travel from town to town. Now, they have built a modern freeway comprising of a series of tunnels that greatly reduces travel time. 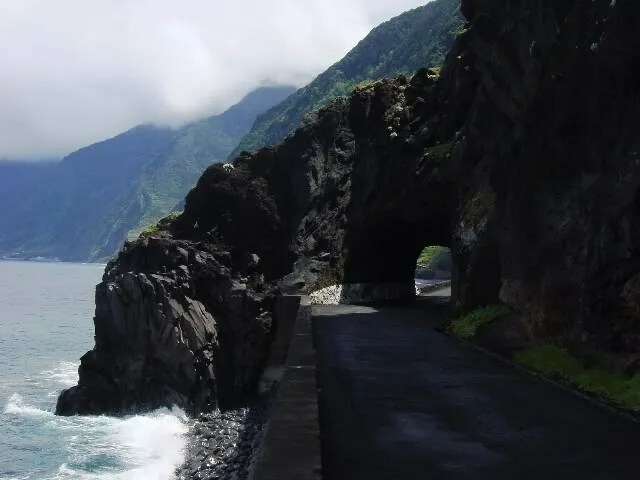 While most of the locals use this modern, new highway system, this leaves the old road free for local villagers and motorcycle-crazed foreigners. If you’re a flower lover, it would be impossible to ride these roads. 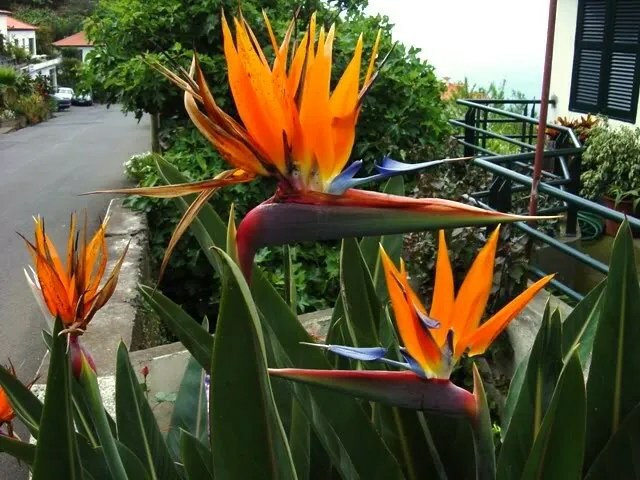 You would wind up so overcome by the intoxicating display of flora that you would soon drive off a cliff. Passing through small towns, dogs claimed patches of roadway as a good place to take a snooze, testament to the amount of traffic. Old men feigned indifference, as if they hadn’t been sitting and watching traffic go by for the better part of the morning. Native Flora. These bad boys were growing all over the island. The little Beemer proved itself well suited to the Island’s rugged terrain. As most of the island’s backroads were so twisty, the 650cc single cylinder Rotax powerplant was more than capable. What little slow moving traffic I encountered was dispatched with alarming alacrity, with the engine emitting a properly angry exhaust note. During the short spurts on the island’s freeway, the bike easily kept up with all but the fastest four wheelers. The heated grips proved to be a blessing in the highlands of the interior and the suspension absorbed the sometimes rough patches. Looking westward along the northern coast, a torturous road heads inland. I found a seaside hotel near the town of Santana with awesome views of the coast so, I decided this would be a good place to stay the night. The small dimensions of the island meant that each nights stop might only be some 5 miles from the previous night’s stop. Even so, I still managed to burn up a tank of gas a day. The skies cleared at sunset providing a promise for better weather to come. The view at sunset from the hotel’s walkway. 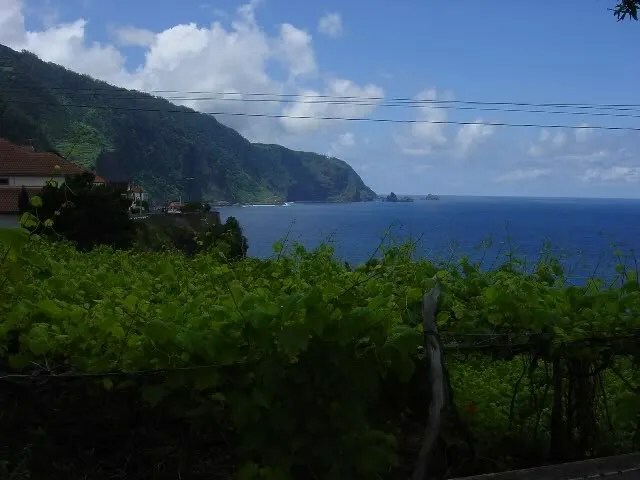 The following night’s destination would be another quaint fishing village on the northern coast named Seixal, in the heart of the famed Madeira wine growing area. I followed the coastal road but took every opportunity to explore any roads I encountered heading up into the mountains. These inland roads provided scenery just as dramatic as the coastline. Mountainous terrain shot straight up into the sky at dizzying rates. Farmers took every chance to cultivate any plot of available terrain, with terraced plots in every conceivable nook and cranny. 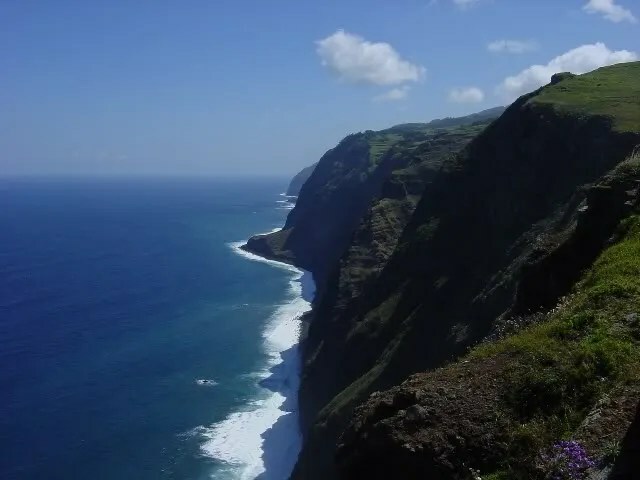 The coastline near Sao Vicente. Some of these backroads had also benefited from E.U. funds with a new coat of pavement making for some great curve strafing. Thank gawd for the E.U. funds. 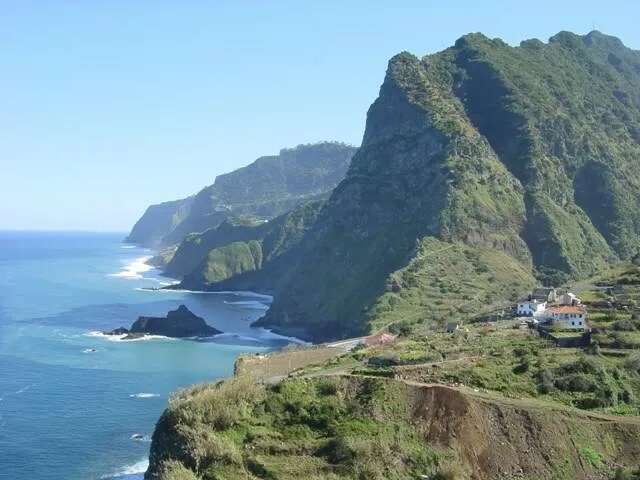 The last section of coastal road before reaching Seixal was clawed from the precarious cliffside making for a dramatic view of the Atlantic. I enjoyed this section so much, I returned and rode it again at a somewhat more spirited pace. Discretion being the better part of valor, my throttle hand managed to keep a prudent rate. Finally arriving in Seixal, I made my way to the bed & breakfast, my home for the next 2 nights. It was a charming place overlooking the small harbor, built in 1867 and recently renovated. I enjoyed the local favorite, blackfish with banana along with some of the local wine. I left the windows open taking in the fresh ocean breezes and fell asleep to the sound of the crashing waves below. After a refreshing night’s sleep, I decided to make my way around the west coast of the island. By mid-morning, the ocean mist had burned away and I had clear blue skies. Porto Moniz lies in the Nortwest corner of the island. They have some neat salt water bathing pools amidst the crashing waves. Purdy cool. 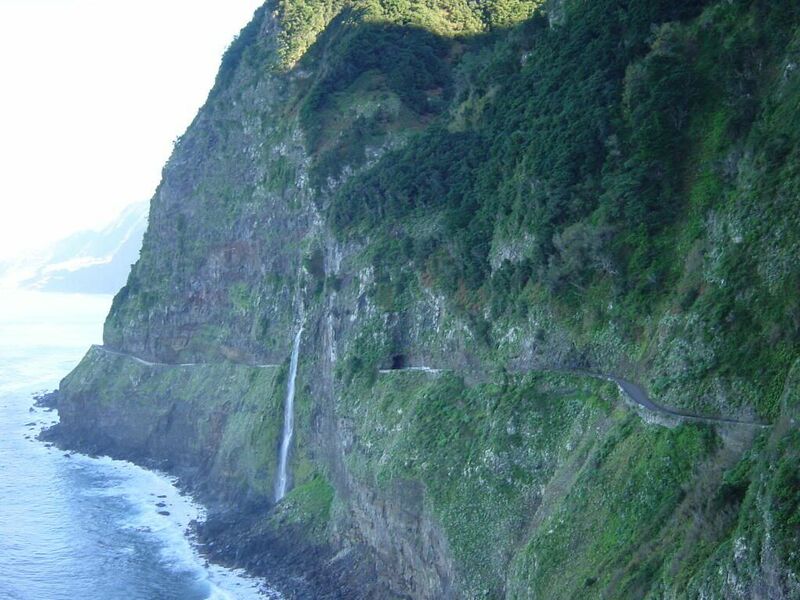 From Porto Moniz, the road climbs straight up. 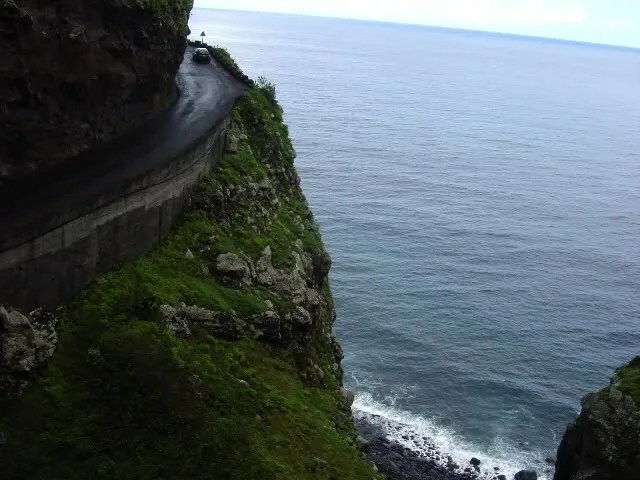 The road climbing out of Porto Moniz. Before long, it seems as if I had been teleported directly to Northern California. The road cut a path through a grove of eucalyptus trees looking for all the world like the section of the Pacific Coast Highway just north of Bolinas. Of all the places I’ve ridden, this section came the closest to matching the PCH for twistyness and beauty. Unfortunately, it only lasted for a few kilometers. The entire stretch of road along the western coast was extremely twisty yet traffic free. Even when stopping to take pictures, it was rare to see even one vehicle go by. 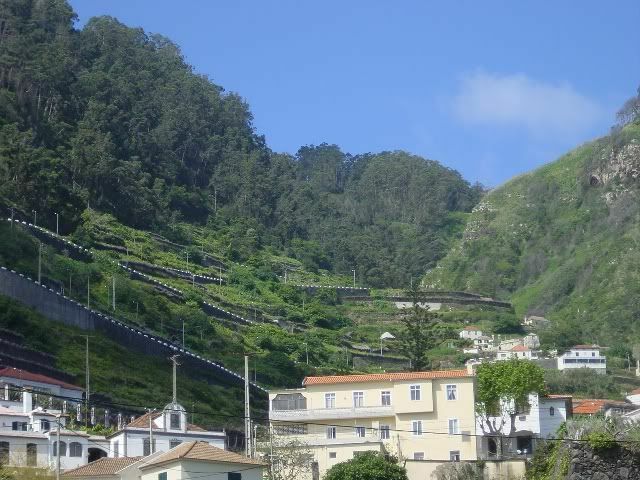 I returned to Seixal via the inland route across the highlands. The interior of the island resembles the Scottish highlands with no trees and scrub vegetation. The roads here also opened up vaguely reminding me of the mountain section of the Isle of Man TT course, bringing out my inner Mike Hailwood. Ocean mist rising along the coastal ridges and white marker posts added to the TT effect and only served to fuel my Mike the Bike fantasies. Releasing my inner Mike Hailwood. Another road winds its way along the northern coast. I made my way back to Funchal only to get myself lost on the city’s backstreets. This was great! I was going to miss my flight and get fired for being late back to work! Finally, I was able to come upon the freeway and managed to regain my bearings. With military-like precision, I pulled into the bike rental place with minutes to spare. A quick jaunt to the airport and I was soon being whisked on my way back home. 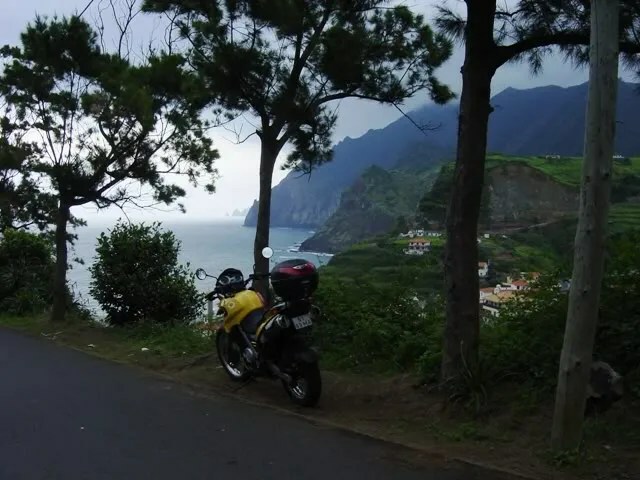 All in all, with it’s incredibly scenic coastline and wonderful array of flowers, Madeira makes for a terrible motorcycling destination. With all the distractions, it’s difficult to keep your eyes on the road! 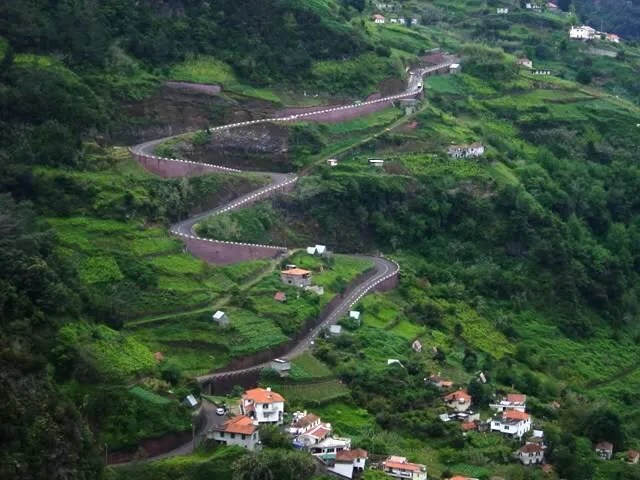 Therefore, I’m afraid I can’t recommend Madeira as a motorcycling destination. It’s bad. Don’t go there.